I shouldn’t even have to mention the conversation that’s been occurring surrounding the idea of clean energy and the preservation of the environment. Turn on the TV or open your laptop, and you’ll likely find a piece pertaining to the topic. Regardless of how you feel or what you believe about the topic, mostly everyone can agree upon making decisions that are economical. New trends in HVAC are accounting for both of these notions; saving money and conserving energy. Thermal- Driven Air Conditioning: Companies such as Chromasun, based out of Sydney, Australia are revolutionizing the industry and creating new trends in HVAC with their innovative tech. What this new consumer product does is basically allow your air conditioning unit to operate using solar energy, but still cycle off when the solar supply is short. Ice Powered Air Conditioning: Personally, I find this to be one of the more exciting and intriguing trends in HVAC as of recently. The idea is pretty simple, in that a giant tank of water is frozen during several hours overnight. During the day, when the building is in use, the machine will provide cooling via the ice that was frozen the night before. However, after the cooling process is complete, the machine depends on a standard AC unit to refreeze the water inside the tank for the next day. Ice Energy, for example, created the Ice Bear, which used this idea quite efficiently. Quiet-Duct Wrap: You can probably guess exactly what the function of this product is. It’s your standard, everyday duct wrap. Where the “green” comes in is in the materials from which it’s produced. Offered by a number of manufacturers, at this point, Quiet-Duct wrap is produced using recycled denim fabric, and has no irritants. Another selling point for those of you in the industry, Quiet-Duct Wrap contains no fiberglass, which means no itching, and no mask necessary. 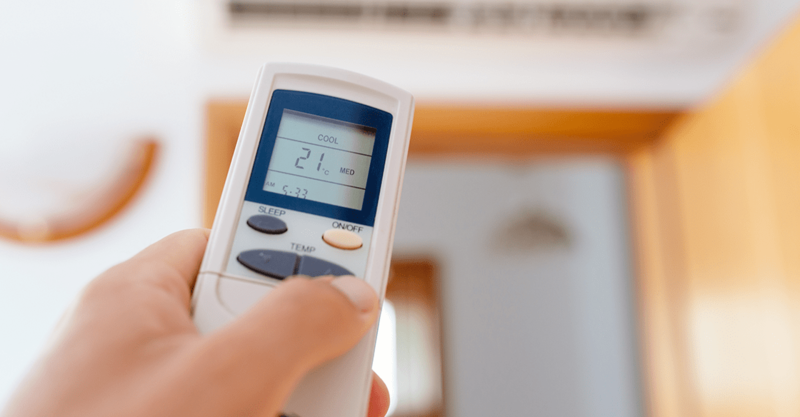 Smart HVAC Technology: Similar to all things “smart,” these new technologies are being adapted into anything and everything that can be deemed resourceful. Thermostats, for example, are now being developed with “smart” qualities and capabilities. New technology now allows for consumers to control the temperature of their home via a remote, offsite location. Not only that, but what’s more is that these devices can actually maximize efficiency and save you money. Internet connectivity through these devices allows for monitoring and analyzing your system to make sure that you are getting all you can out of your HVAC setup. I know, many of these green and alternative concepts are a little bit impractical to the average homeowner and would be much more reasonable on a commercial level. But, you have to think, if these technologies and trends in HVAC are finally starting to see the light in the commercial market, it’s only a matter of time before the residential HVAC industry comes knocking to follow suit.